Two new shops at Seattle-Tacoma International Airport offer some great options for locally-themed souvenirs. 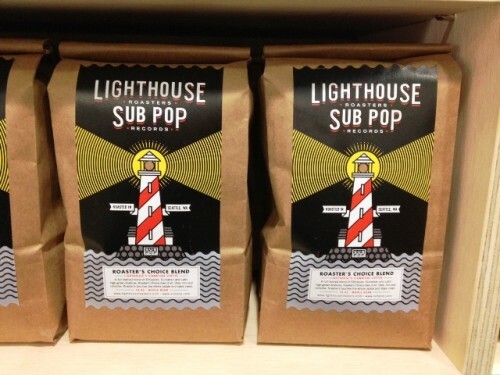 The Sub Pop shop sells music by many of the bands signed up with the independent record label, of course, but it also sells a wide variety of other items, including Sub Pop-branded t-shirts, note cards, travel pillows and coffee. Over at the new Metsker Maps shop, you’ll find globes, books, small flags, all manner of maps (of course) and a wide variety of other geography-themed gifts. And when I stopped by last week, John Loacker, president of the historic Kroll Map Company, which joined forces with Metsker Maps of Seattle in 1999, was on duty and happy to show me around. The store had been open just a few days, but Loacker said there were already some bestsellers, including paper city maps and these country-themed patches.